So here we are! Finally bringing together, and making comparisons between, the two most popular online streaming gadgets in the world – Amazon Fire TV Stick and GoogleChromecast. Now, for this blog, we’re going to focus on Google Chromecast 2, which is considered to be more powerful and faster than the original Chromecast. Google Chromecast 2 can be bought from Flipkart in India which is currently on offer (20% off ) and costs only ₹2,699 as of writing. Let’s go through this article on Amazon Fire stick VS Google Chromecast to learn more. I’d like to make something perfectly clear here – we’re not trying to determine which one’s better – Chromecast or Fire Stick; we’re just trying to compare the two devices on various grounds. Now, both the devices can turn your normal HDTV or any other display unit into a Smart TV, by allowing it to access the internet, and thus, a range of online streaming apps. However, each one offers exclusive features, which makes it pretty hard for the users to pick a favorite. Chromecast is basically a bridge between your smartphone and your TV. The idea is to signal whatever is displayed on your phone onto your big TV screen, so that you can have a larger, clearer and HD quality viewing experience. The possibilities are endless. You can use it to watch movies, series, photos, play games, and what not! The user uses his phone itself, but instead of looking at the phone’s screen, he looks at his TV screen. 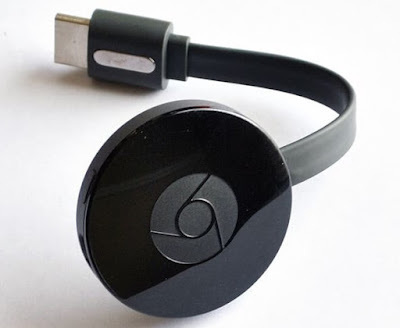 There are two features within Chromecast that enables you to do that. The first one is called Casting, and you use it to display specific apps on your TV screen. To use this feature, you need to simply open an app on your phone, and go to Cast option. Once you click on it, the home screen of the app will appear on your TV. When that happens, you can navigate around, the way you would on your phone’s screen. Here, you’ll have to use your phone as a controller. But there is one thing that you need to keep in mind to use this feature. Only the apps supported by Chromecast can be displayed on your TV screen. The second feature is called Mirror Screen, and as the name suggests, it allows users to sort of duplicate whatever appears on their phone’s screen onto their TV screen. And I’m talking about every single element – from the home screen of your phone to the individual app screens! It’ll be like using your phone, but you no longer will be looking at it. With this feature, you can display whatever your phone supports on your TV screen, regardless of Chromecast’s limitations. Also, with this device, you can connect your TV not just with your smartphones, but also your tablets and laptops. How does Fire TV Stick work? Fire TV Stick connects you directly to the Fire TV Cloud/ Store. Once connected, a homepage displays on your TV screen, which is filled with apps, divided into categories. You receive a remote control in your Fire TV set that you can use to navigate around. You could download or delete these applications as per your interest. You could watch movies, play games, view photos and so on. With Fire TV as well, there is a limitation, i.e. you’re only able to access the apps supported by it. And also it is not supported in all countries, only the United States & UK, Germany, Austria, Japan and India ( Fire TV Stick 2nd generation only) currently support this device. For the best gaming experience, Fire TV offers a game controller that the users need to purchase separately. Also, a feature similar to mirror screen is available, but it’s possible to use only if you connect your device with Fire phones and tablets. There are apps available for screen casting through Android as well but you need to install a third party screen casting or mirroring app on both the devices – Fire TV Stick and the smart Phones or tablet. One of such Apps for screen casting is All Screen Receiver. Once the apps are installed on both the devices you can cast the screen of mobile or tablet to your HD TV through Fire TV Stick. Setting up Chromecast is a daunting task in comparison to Fire Stick. It goes without saying that a good internet connection is required for the devices to work properly. With Fire Stick, all you need to do is connect the device to your TV, and follow the instructions on your screen. It practically installs itself. And you’re all ready to go! With Chromecast, you need to take that extra step of connecting your smartphone to your device, after connecting it to your TV. And with every new smartphone that you wish to use as a controller, you need to repeat the connecting process. And then comes the casting/ mirror screening step. You need to go through it every time you want to watch something on your big screen. Now, if we’re to not consider the set up process, the User Interface of both Chromecast and Fire Stick is quite friendly. Since Chromecast displays your phone’s screen on TV, it shouldn’t at all be challenging for the users, as they’re quite habituated to using their phones. The interface of Fire Stick is also pretty rudimentary, quite similar to the home screen of digital channel networks. Instead of channels, however, the apps appear on the screen. 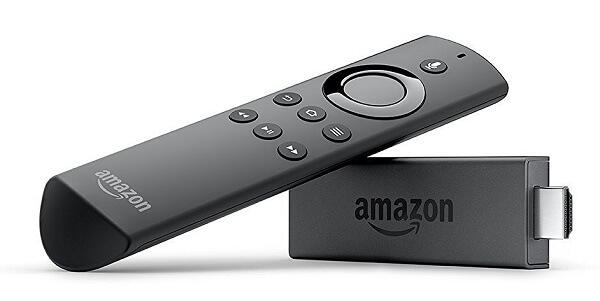 The Alexa voice remote that comes with Fire TV stick is the additional benefit and beauty that adds voice control to your TV. Both Fire Stick and Chromecast support a large array of apps that allow you to watch movies and series, listen to music, view photos, play games and so on. With Chromecast you can only view what’s on the phone. The device is meant for the users who have their minds set on what they want to do. To look for new apps, or buy/ rent new movies, series or games, you won’t need this device. So, you’d rather do it while you’re not connected, and connect only when you want to watch them. Fire Stick, on the other hand, allows you to explore through the list of apps that it supports. Since you’re connected to its cloud/ store, you can look for anything. Also, if you have an account in Amazon Prime Video, you get special offers while purchasing a lot of these apps, especially movies and series. So, like I said at the beginning of this blog – there are pros and cons to both the devices, and our purpose is not to tell you which one is better. It’s up to you to analyze the features and take an informed decision. Both Fire Stick and Chromecast are packed with features and entertainment options that are sure to transform your TV watching experience into something better. And all this at a very nominal price. By installing them, you’re adding ‘smartness’ not just to your TV, but also to yourself. I hope that this post proved to be helpful to you. Do check our other blogs as well. And do share with us your experiences with the device. If you know anything interesting that should be included in this post – Amazon Fire Stick VS. Google Chromecast, do let me know through the comment section below. Previous articleHow to add a custom message to your macOS Login Screen?